Very pleased with this purchase. True to color and fits perfectly with no issues. Looks nice, great buy for the price! 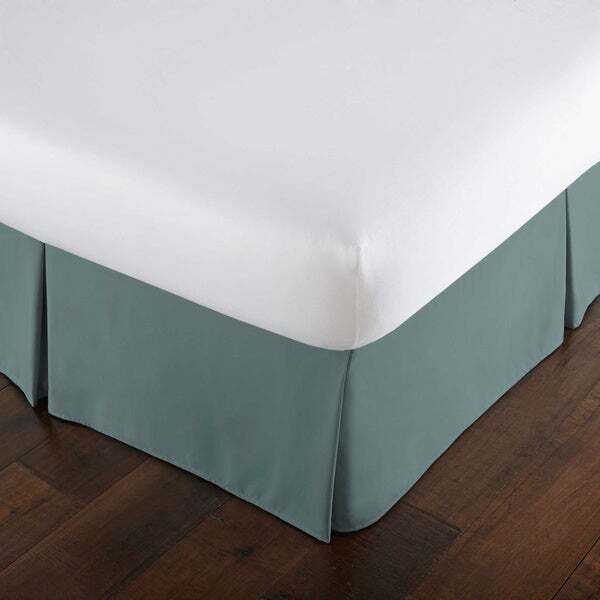 Add a classic touch to any bed with this beautiful pleated bedskirt from Southshore Fine Linens. With a solid color pattern and soft, brushed microfiber construction, this bedskirt is the perfect complement to any bedding. Best of all, the bedskirt is machine washable for easy care and cleaning. An earlier reviewer said she found the weight of the fabric too flimsy, so I was pretty sure I'd have to send this back when I got it. But it turned out that the weight is fine. It drapes beautifully. If I have one complaint, it's that either my full-size bed is smaller than standard or the bedskirt is larger than standard, because I'm going to have to hem it up about 2 inches all around. I love that there's an entire fabric base that spreads across the mattress. So many bedskirts these days are like fake neckties that are held up only by elastic at the edges. The color is okay but I am disappointed in the quality of the skirt. The wrinkles were difficult (impossible) to remove and the pleats are not sharp. I wish I had made a different purchase as it is on a king-size bed making it difficult to remove. Got the taupe color - a nice toasty almond. Took another reviewers suggestion and popped it in the dryer for a short bit to help drop the folds out of it. It is microfiber so lacks the weight to hang dead straight. I'm happy with it. I read the reviews before I purchased these bedskirts. Unlike some of the reviewers, I do not find the material too thin. Wasn't too sure of the intensity of the gray which I intended to use with the Madison Park Jaxson gray coverlet set but they matched perfectly! After a little ironing and making the folds were I wanted them this skirt is a beautiful sky blue color. Definitely the color that was shown on the pictures. I was a little worried about the color but they pictures are pretty accurate I would say. I would buy this again for other beds. Love these twin bed skirts. I purchased the soft gold to match the microfiber Cover Sets. Perfect fit and color. I needed to coordinate the bedskirt with the Eddie Bower Edgewood Plaid Duvet set, It works well together. The skirt is only on 3 sides (not at the head of the bed). That shows, because I don't have nightstands on both sides. My main issue is that the hidden part, that the skirt is sewed to, is a different color, and it shows. Worse, when I tuck the sheets in, the skirt shifts. It gets hung up under the mattress in places, so it does not reach the floor consistently. It just looks messy. I don't know if the only answer is to have one custom-made. Perfect taupe color to make my taupe bedspread. Washed the bedskirt (as recommended) on gently cycle and dried on low heat. Only needed light pressing afterwards to smooth our the wrinkles. Material is too thin. Looks and feels cheap. Perfect complement to our bedroom & color palate. I am so thankful for this bed skirt! I fit perfectly and it was the exact color of gray that I needed for my bedroom. It was the correct measurement and all. It was quite wrinkled when it came out of the packaging, but I just steamed it with my portable steamer and the wrinkles came out quickly. I would recommend that you steam or iron it before placing it on your bed. Be prepared to iron well. Pleats are neat and hang well over mattress. Wonderful quality. However the color didn't match my new bedding and Overstock took care of everything. What a wonderful company they are. Thank you. "Is the platform the same color as the skirt or is it white?" 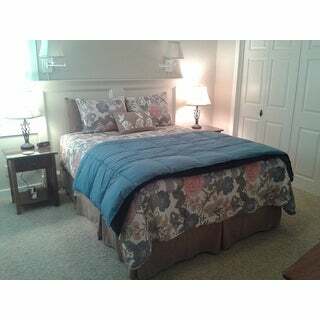 "bought the southshore steel blue comforter....will the steel blue bed skirt match? was confused by the "teal" reference"
"Referring to the question about hemming, how many pleats does it have?" "I need a bed skirt with only a 12 inch drop (have low profile base below mattress and have removed rollers from frame). Would this skirt be a reasonable choice to try to hem up to make work?" Yes I believe it would be easy enough to hem without any trouble. Mine was too a bit too wide so I pleated and sewed in the middle. Worked out very well. "This particular bedskirt color descriptions are very poor. I'm looking for a king sized off white. I see the off white or bone in every size except king...is this just an accidental oversight? Can someone at overstock please contact the warehouse and ask 1) if bone= off white 2) if it is available in king. Thanks"
Bone is more of an oatmeal color. "Is "dark blue" actually navy blue?" "I wanted the steel grey, but it's not available in queen. Not able to pull up the slate color, it is available in queen. Is it a darker gray?? Thanks!" Steel is a much lighter gray. As far as the color it is exactly like the picture. I purchased the quilt and shams to match for my sons room. Great for a male's bedroom. I purchased the full/queen in this bedskirt.